Bulk materials handling specialists: Engineering, equipment, parts and servicing. Take a tour of Transmin’s engineered equipment range, on our simulated mine site. From simple beginnings in 1987 supplying lime systems and feeders to the Western Australian gold mining sector, Transmin has developed an innovative range of standard products known throughout the industry as competent, quality solutions for materials handling applications. Transmin’s dedicated Parts division supplies a huge range of both Transmin and third-party OEM equipment. Our experienced team is always on hand to keep your operation running with zero or minimal downtime. Transmin’s dedicated and highly trained Service division supports mining and materials handling operations right across Australia. We provide comprehensive on-site and off-site servicing of both Transmin and third-party OEM equipment. 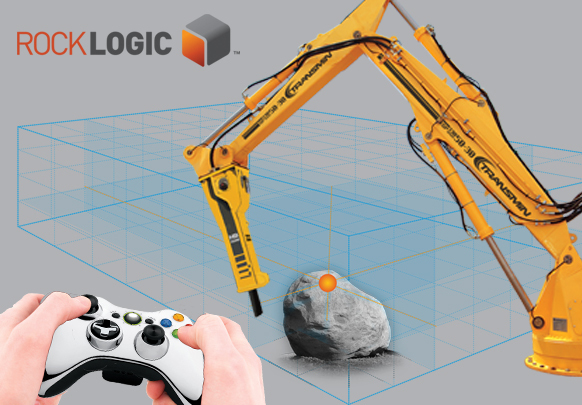 From the Control & Automation division of Transmin comes the Rocklogic™ range of intelligent control systems for fixed boom assemblies. Our established team combines broad experience with specialist insight to provide the expertise necessary for any automation project. With three decades of industrial engineering experience in mining and bulk materials handling, Transmin has the capability to tackle all manner of projects. From single equipment applications, to complete turnkey plant operations. BA Equipment Group (BA) is an exclusive dealer for the Transmin Boomer range of hydraulic boom systems and exclusive distributor for the Transmin Boomer-HD boom systems service and spare parts support throughout Australia, Papa New Guinea, Indonesia and New Zealand. BA is also the exclusive dealer of Atlas Copco hydraulic hammers and attachments throughout WA, QLD, & NT. BA provides ongoing support, parts and service to all makes and models of hammers, attachments and boom systems.